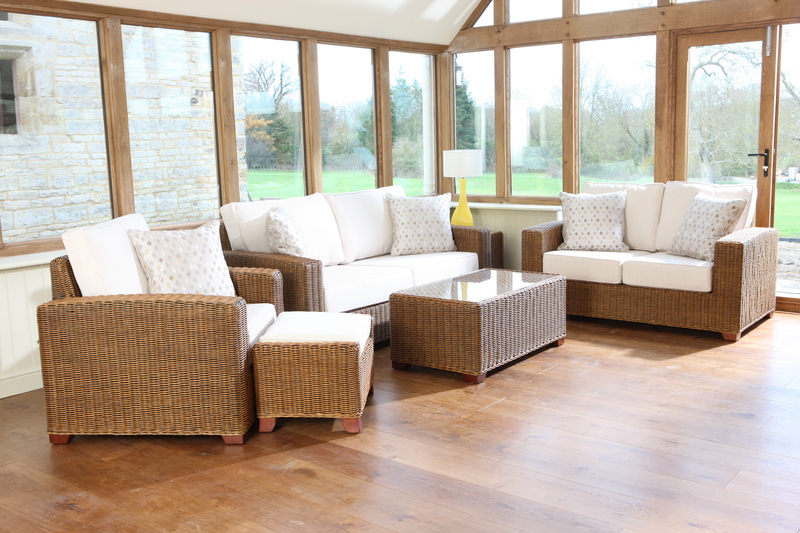 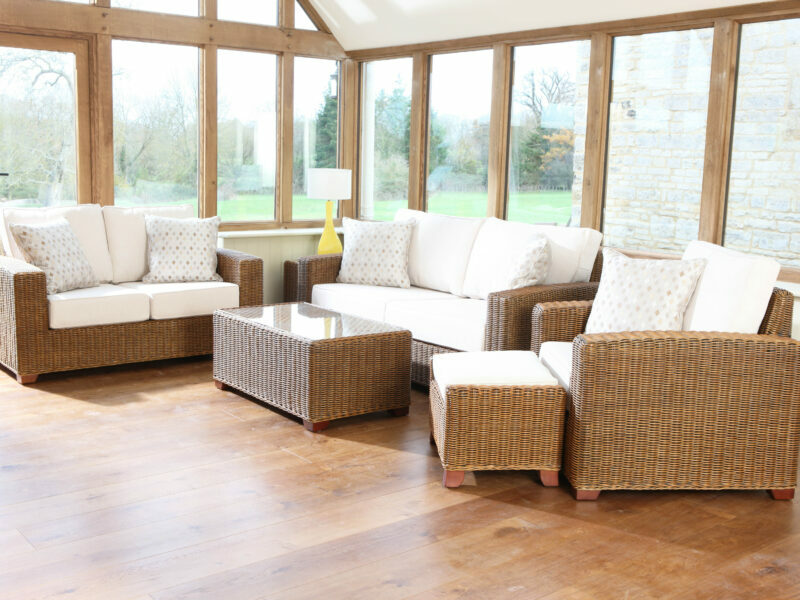 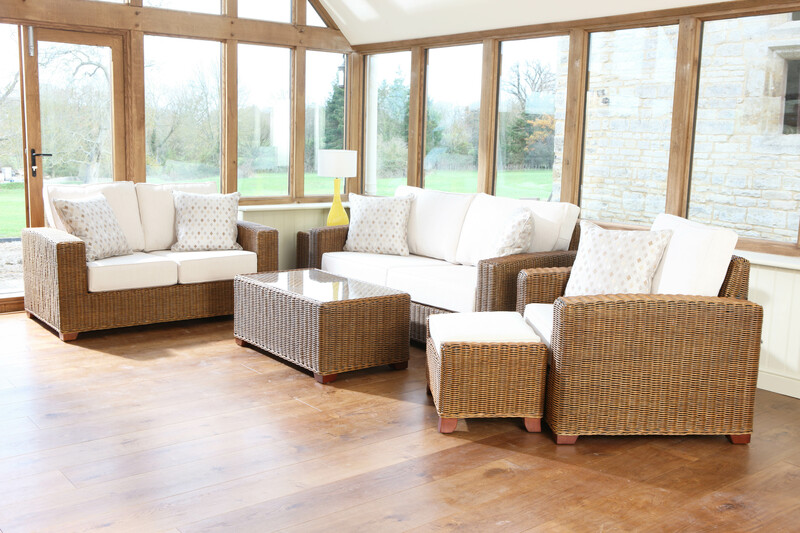 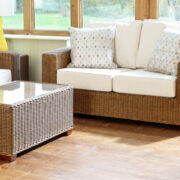 Tinoka full rattan sofa sets to clear. 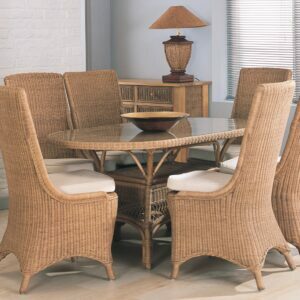 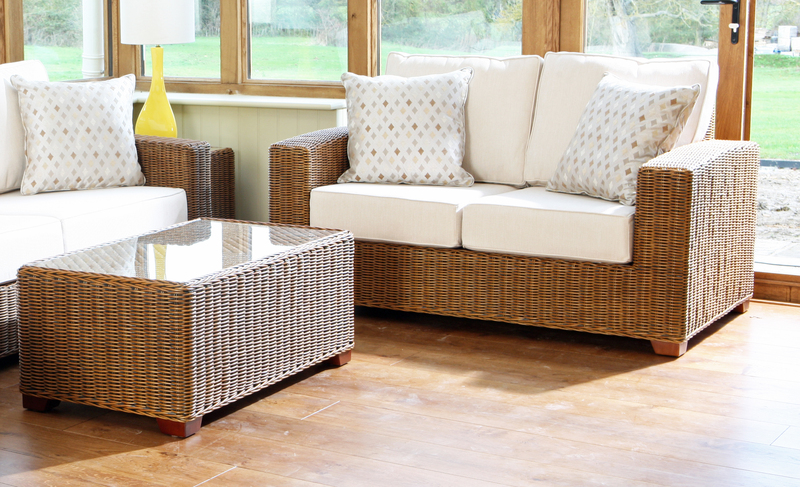 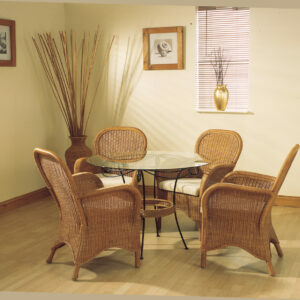 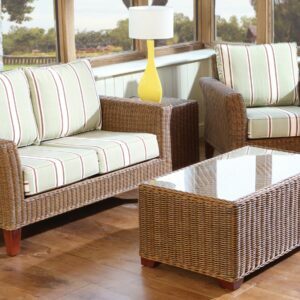 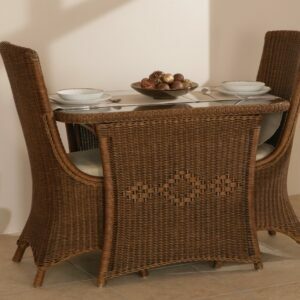 Woven in heavy duty rattan, making a very solid construction. 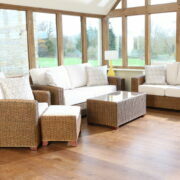 Finished in Cognac patina with Victoria cream cushions. 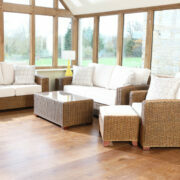 Set to comprise of 1 x 3 seat sofa and 1 x arm chair.